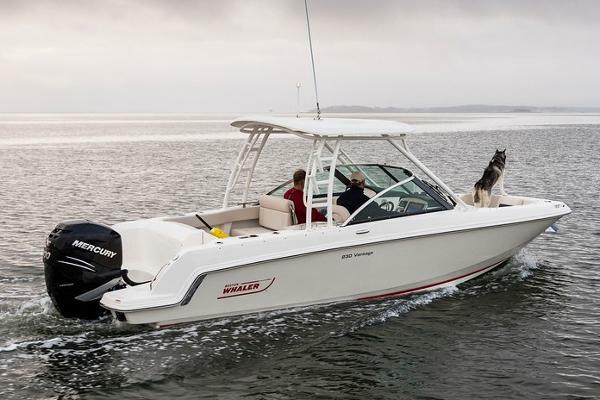 2019 Boston Whaler 230 Vantage with 300 XL V8 DTS White Mercury FourStroke with hydraulic power steering Notable options included: Blue graphics Bow tow eye Anchor (stainless steel) Anchor windlass – low profile with rode and anchor Seating - bow filler cushion Table - bow table with dedicated storage Hardtop (fiberglass) – includes: navigation light, tow bit, aluminum tower VacuFlush toilet Rails - white rub-rail with stainless steel insert Windshield cap (stainless steel) Corian countertop at utility center with stainless steel rail Fishing package – includes: livewell (14 gallons) with light, washdown, toe rails, rod holders (2) Battery charging system Freshwater shower – bow and stern sprayers Air compressor system Vessel View 4” display Active Engine Trim Cockpit cover Lauderdale Marina is a full-service Intracoastal waterfront boat dealership and marina. 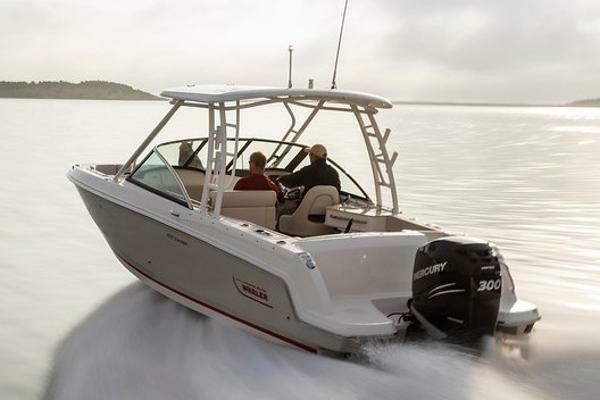 We sell and service Boston Whaler boats from 11 to 42 feet, Albemarle Sportfishing boats from 25 to 41 feet, and Mercury and Yamaha outboard motors. Our 4 acre point lot also features the award-winning Fifteenth Street Fisheries restaurant, a 365-foot ethanol-free gas and diesel fuel dock with dock store and a Yamaha and Mercury outboard parts & accessories department. 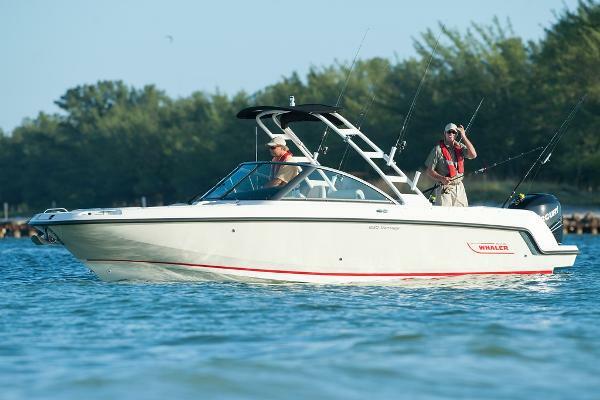 We have boat dockage up to 165 feet and are open 7 days a week. Since 1948.